30" x 26". 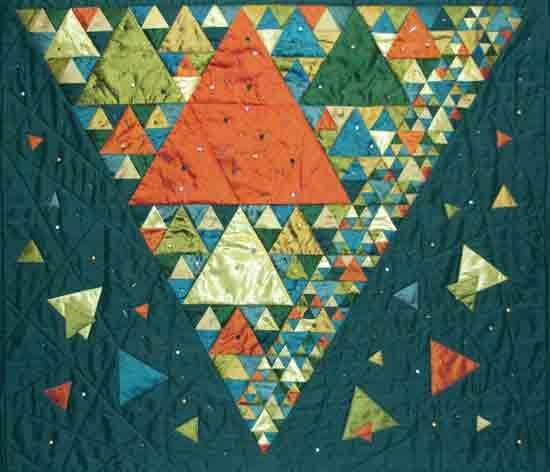 Fractal geometry appears in nature and Sierpinski's Triangle, illustrating fractals, is interpreted here in silk, with iterations on one side. Juried into Art Meets Science, SAQA (Studio Art Quilt Association) and traveled to different exhibitions throughout the world for two years.